Genyo Takeda is a videogame pioneer that has established the foundation of today’s industry. He's responsible for many hardware and software creations that have taken gaming to new heights. Mr. Takeda currently serves as Special Corporate Advisor to Nintendo Co., Ltd. He was born in Osaka, Japan and is a BSEE graduate of Shizuoka Univ. While many know Mr. Takeda for his significant contributions to videogame hardware, he has been cited as Nintendo's first videogame designer. Mr. Takeda was instrumental to the company's pivot from consumer electronics to games in the 1970s. From his start with Nintendo in 1972, Mr. Takeda helped transform the company into one of the most prominent videogame corporations in the world. By blending emerging and conventional technologies in unconventional ways, he fearlessly led Nintendo’s development teams down unknown roads in order to give gamers brand new forms of entertainment. Mr. Takeda's creations have made a profound impact on the videogame industry and entertained millions of people. Designed by Mr. Takeda and released in 1975, EVR Race was one of Nintendo's earliest arcade games. Playable by up to six gamers, EVR Race featured videos of race horses. Players used a simple interface to bet arcade tokens on the winners as horse-betting simulators, while a video reel offered immersion. The game was one of the first steps in what would become Nintendo's successful venture into arcade gaming. Mr. Takeda designed the arcade boxing game Punch-Out! !™, which was released in 1984. Players controlled a green wire-frame boxer that worked his way up the ranks against colorful pugilists. Punch-Out!! introduced gamers to Glass Joe, Bald Bull, Mr. Sandman, and many others who would become unforgettable videogame characters. In addition to having engaging gameplay, Punch-Out!! arcade cabinets were unique at that time as they featured two screens. The lower screen featured the game's action, while the upper screen showed statistics and fighter portraits. The Punch-Out!! game’s blend of clever immersion, memorable characters, and gripping gameplay made it an instant classic. The Punch-Out!! game’s success would flourish with an arcade sequel and several console versions. Super Punch-Out!! for arcades introduced new boxers to the mix, while the North American Nintendo Entertainment System™ (NES™) version was titled Mike Tyson's Punch-Out!! For many people that grew up with the Famicom and NES, ultimate satisfaction was achieved when Mike Tyson complimented your finger speed in Punch-Out!! StarTropics™ was a unique Nintendo title for NES in that it was designed specifically for the Western audience. The adventure game was produced, directed, and written by Mr. Takeda, and released in 1990. StarTropics was lauded for its expansive world that offered hours of exploration and commended for its creative gameplay. Its sequel, Zoda's Revenge™: StarTropics II™, was also met with critical acclaim, praised for combining its predecessor's fantastic exploration with an even deeper story. One of Mr. Takeda's goals was to amplify technology's power as much as possible to give surprises to the world. That's precisely what he did while leading the hardware development on the Nintendo 64™ system. He adopted a cutting-edge 3D-graphics system, which was generally used for workstations at the time. Using a workstation-level graphics-system allowed Nintendo to greatly evolve the power of expression provided by games. Mr. Takeda was also keen on collaborating with Western companies to give developers new creative opportunities and gamers new experiences. While developing the Nintendo 64 he worked with the world's leading technical partners -- such as Silicon Graphics, MIPS Technologies, and Rambus Incorporated – demonstrating a global outlook beyond the boundaries of Japanese technical partners. Mr. Takeda's penchant for using technology in creative ways and maximizing partnerships with Western companies established Nintendo's hardware strategy. His approach would go on to be seen in the Nintendo GameCube™, Wii™, and Wii U™ videogame consoles. Through his leadership, those consoles achieved enormous success. While leading development of the Wii console, Mr. Takeda chose to go in a boldly different direction. While competitors emphasized CPU and GPU power, he wanted to make a videogame console that was accessible to everyone. Along with Nintendo's Satoru Iwata and Shigeru Miyamoto, Mr. Takeda sought to redefine the concept of the game controller through motion sensors. While competitors moved towards more complicated gamepads, he envisioned a controller that anyone could use, regardless of gaming experience. With its motion-sensor controls, Wii was a tremendous success for Nintendo that brought gaming to a mass audience. 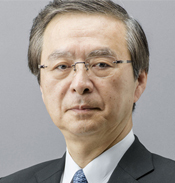 Since 1972, Mr. Takeda has served Nintendo as Representative Director and Technology Fellow, Representative Director and Senior Managing Director, Director and General Manager of the Integrated Research & Development Division, and General Manager of the Research & Development Department No. 3 in the Manufacturing Division. His production credits include EVR Race, Sheriff, Space Firebird, Popeye, Punch-Out! !, Super Punch-Out! !, Arm Wrestling, StarTropics, Zoda's Revenge: StarTropics II, Super Punch-Out!! for NES, Pilotwings™ 64, Pokémon™ Puzzle League, and Dr. Mario™ 64. A creative force that has made substantial contributions in gaming hardware and software, Genyo Takeda has made an extraordinary impact on the videogame industry. His leadership and vision have greatly contributed to Nintendo's momentum. He has set standards, changed expectations, and entertained countless gamers. Once again, the videogame business wouldn't be where it is today without him. The Academy of Interactive Arts & Sciences has the honor to present Genyo Takeda with its Lifetime Achievement Award.